With proven accuracy and reliability, the Excalibur Sport is renowned worldwide as “the gold standard in ergometry”. 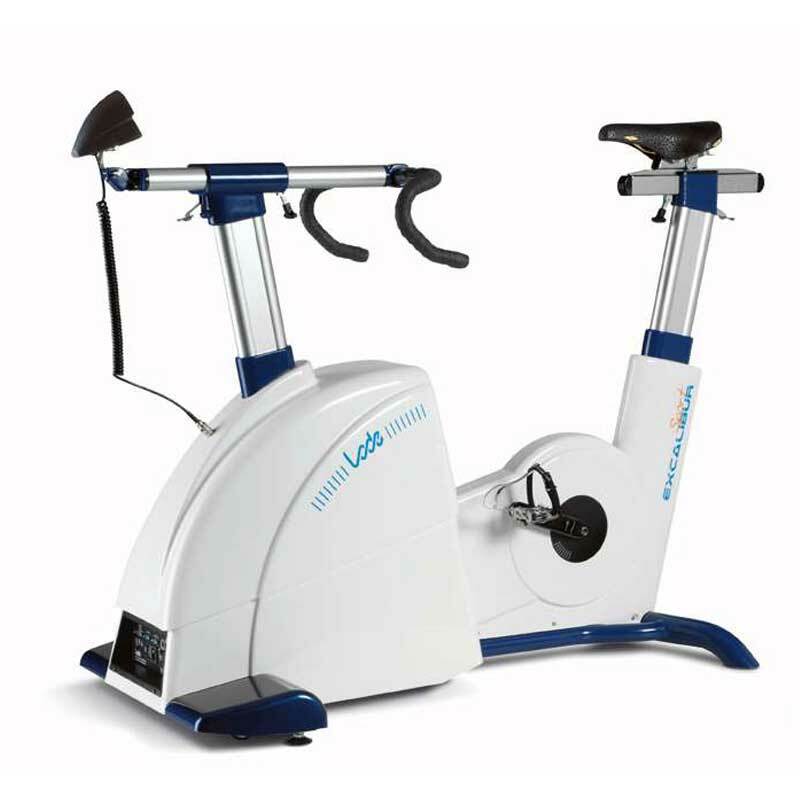 The newly designed and improved Excalibur Sport ergometer meets the latest requirements of modern sports medicine and research. Since athletes are becoming more and more powerful and testing more advanced than ever, this ergometer has been developed for extreme workloads up to 2500 watt! The new design ensures maximum stability at these high workloads. Thanks to the increased adjustability, versatile positioning of the test subject has never been better! This Excalibur Sport has built-in modified strain gauge technology that measures forces exerted on the pedals during exercise and is supplied with angle detection. Independent measurements of forces in both left and right crank are possible. Wireless transmission of the measured forces to the PC by blue tooth. Note: this setting is supplied with LEM and LEM PFM software (various other modules are available), a computer (we recommend to use this PC only for the LEM software) and an interface cable.